and then all you need to call is git pull and it will download and update the latest changes. 6) The script will list the changes if any, It will also tell you if you need to convert any feeds from the old datetime format to the new integer timestamp format. If you do have feeds that need converting make sure you backup your old database before you continue running conv.php incase anything goes wrong. 7) Re-comment line 17 again so that the script is not runnable by anyone. New dashboard implementation: With the new dashboard implementation and the new visual dashboard editor dashboards created in versions of emoncms before mid-july 2012 no longer work with the current version as the dashboard renderer has been reworked to quite an extent. It is best to rebuild any dashboards using the new visual dashboard editor or the new ckeditor rebuild, there is a guide on how to do this in the using emoncms documentation. In case you have an old table setup (i.e. pre 13th of April where timedate is used instead of integers for the time field in the feed tables), also run the conv.php script in the emoncms root directory. For this script line 13 needs to be uncommented before running it. 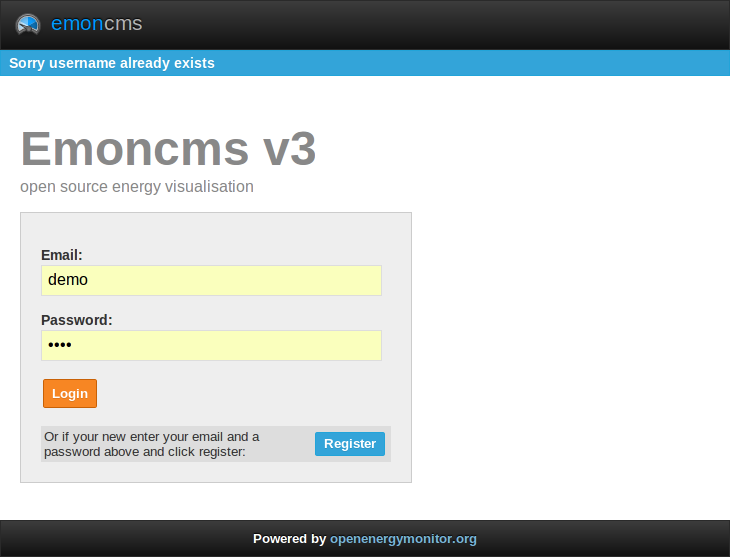 See also http://openenergymonitor.blogspot.com/2012/04/speeding-up-emoncms-feed-data-requests.html.